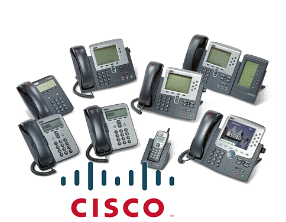 Find the best small business phone system to help your company reduce costs, improve productivity, and enhance collaboration.Cisco IP telephony solutions support advanced, reliable voice and video communicationCisco phone systems are known for their enterprise feature sets, ease of use, and reliability.Cisco IP phone systems save money on long distance charges, allow call transferring to anyone at any location, and remote workers. Cisco Unified Communications Manager supports your basic business phone system, as well as home and mobile working.Plus it enables you to link together different communications, including mobile and business broadband.This market-leading phone system is designed with the small and medium-sized business in mind: But it's flexible enough to grow to meet the phone system needs of even the largest business. Don't waste time chasing people - make everyone in your company easier to reach, more flexible and more productive with Cisco Unified Communications Manager. It provides tools that give you the real-time availability of staff and their communication devices. An Instant Messenger session, a phone call or a video conference call is just a mouse click away with Cisco Unified Communications Manager. You can save the time and costs of travelling while enjoying the same benefits as face-to-face meetings when you choose the conferencing option. Connecting your phone system with your data network is a big step, but we'll be with you all the way to make sure it runs smoothly. And if you already have a Cisco data network you'll find the migration even easier. By responding faster and more effectively to customers, you're better placed to retain their loyalty. You can make sure your customers get top-class service every time when you route calls effectively through multiple agents or sites. Plus you can manage calling peaks with comprehensive management reporting. Make sure you and your colleagues don't miss any important calls even when you're out and about on the move. You can give your customers and suppliers just one phone number to reach you. 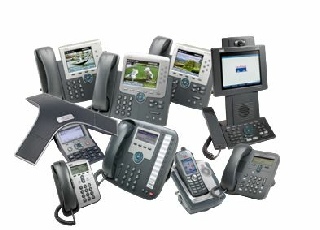 And you can link your mobile phone with your telephone system, so when your desk phone rings, you're mobile will too. Cisco Unified Communications Manager is ideal if you have lots of premises where people are working from, as it can be used over 20 sites.